I will be doing a big walk in the spring (about 400miles) and will be crossing the Brecon Beacons and will need to wild camp south of Pen y Fan/ Craig y Fan area. I used to live near there but it's a good few years now since I walked there. If you pick up the Blaen Taf Fechan stream on the southern slopes of Pen-y-Fan you will find some quiet spots. You will pass the Upper Neuadd Reservoirs and there are should be some reasonable pitches around the upper (away from the access road) side of them. Between Upper Neuadd and the Pontsticill Reservoir there are stands of pine trees here and there for shelter and where you could suspend a tarp. Also, to the north of Pontsticill Res there is a tea room called the Old Barn that does a welcome cuppa and home bakes, if it's still there. You could camp around there with permission. It's a beautiful spot. If you look at the Graig Fan Ddu area you’ll see a trig point spot 642, I have seen tents just off to the left here as you look south, that’s if you want to stay high. For something more sheltered with a stream close by, look at the map and see a footpath going from Pont Cwmyfedwen following the Taf Fechan, approx two thirds of the way along this at a junction is a secluded spot for camping, I have seen the occasional camper there but it’s a seldom used footpath so should be suitable for you. Thanks folks for the suggestions I hope to be there with Tan this May. 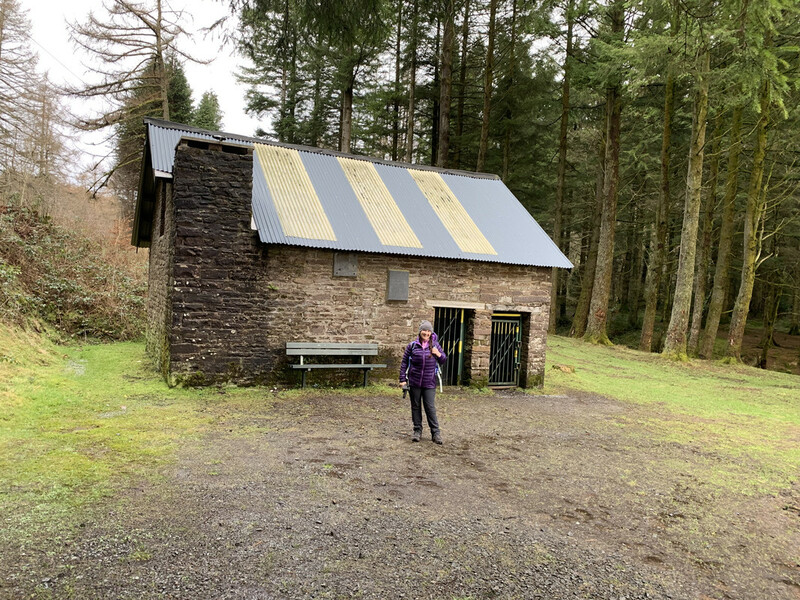 Paul I was in the area today doing a short walk and had completely forgotten about this bothy right next to the Taf Fechan, it was padlocked today but is in good clean order inside as the inner door was open. I think that bothy is not for general use and kept locked. Scouts or some other group use it can’t remember which. I think Paul is looking to camp anyway Wayne, just thought it might be an option. How are you by the way, good to see you. Not heard from you for a while, all ok? Still living locally? I’m still in the Brad Phil. Haven’t been walking for over a year and getting so unfit. But all is ok.